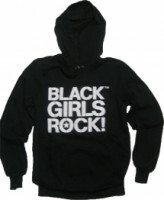 Take The Pledge - BlackGirlsRock, Inc.
HLNTV.COM Highlights BLack Girls Rock! Tracee Ellis Ross and Regina King will Co-Host Black Girls Rock 2011! Can we expand to Minnesota…!! This is beautiful and Empowering I wish something like this organization exists where Im from. I love to see when we African American women come together to teach our young girls value, strength, courage, independence and faith. This is the best way to show them that their self worth goes a long way and that they don’t have to sell themselves short just to be seen or heard. Maybe some day you guys can visit where I’m from the beautiful island of St. Croix USVI and celebrate the black girls that rock in the Caribbean. I am a Black Woman that has been through it all. I do it all I ROCK. I SEE MYSELF BEING APART OF THIS MOVEMENT THIS EMPIRE OF WOMEN ….. I am a bold woman, I am an independent woman, I am a Leader, I am an educated woman, I am a trend-setter. But most of all I AM A BLACK GIRL, WOMAN who ROCKS! I thank you and the Lord above who made me who I am today. I totally rock!!!!! Overall, this movement has moved me to make a change, not just in my community but within myself. Thank you ! Love BGR!!! My 13y/o goddaughter(Casey) and I watch this for the first time and it was extremely encouraging and timely. I would love to know when registration for the BGR Queens Camp 2014 starts. Yes Black Girls Rock!!!! We Rock!!!! Thanks for all the love and dedication you put in to inspire our young black women. I live in Charlotte, North Carolina. How can I volunteer? I am a strong, independent woman, who is a Leader, an educated woman, a trend-setter in the information technology community. But most of all I AM A BLACK GIRL and I ROCK! Blessing to all of my BLACK WOMEN AND GIRLS THAT ROCK! Everytime I see this show it brings joy to my heart. To see this woman and her creation that inspires and empowers girls, woman and an array of people all around the world, GIVES ME HOPE. Hope to know that my vision to create Peace, Love and Joy to hearts is still POSSIBLE. I aspire to EMPOWER women and mothers, and give them the ability to continue to inspire their daughters and their daughters daughters. Having a teen who struggles with issues such as acceptance, low self esteem and being a victim of sexaul abuse, I dont always know the answers on how to cope and deal with her issues, or being able to work through all of our emotions when the tough times arrive. We as Mothers and Women need to have a stable foundation and support system to stay strong when we feel alone, frustrated and imbalanced, or incapable of providing answers and solutions to ur daughters or childrens problems. Women need to be encouraged as well, so we can give our daughters and nieces and sisters the deserved support when they need our help. So pray for me and my journey. I am stepping into my purpose fearlessly and with my heart wide open. It is time for me to be of service and try to make the world a better place, even if its One Woman at A Time!. Hope to see BGR very soon! A.B.A.Y.A my greeting and closing to you. I am moved by the initiatives of BGR and the demonstrated ability to empower young females by just being a positive avenue that’s open to them to blossom to their divine purpose and full potential. I applaud the efforts and would love to see this program extend beyond the borders of the US to the Caribbean where similar situations of self esteem, empowerment and belief in oneself amongst youth to succeed in spite of challenges are a real issue. I believe in this powerful movement called BGR! It has realy been a long time since we have had something like this on the mainstream that really promotes health, wellness and wholeness for “women of color”. We rock in so many different ways and to hear it said out loud with such pride causes me to rise up as a giant on the inside. This is more than just another nice activity or organization, this is a movement of magnificent proportions. we not only rock, we break through the very boulders that have held us captive for so long, blocked us in and confined us from our full potential. We are mountain movers and true overcomers, trailblazers in the very sense of the word. Now, we are looking at ourselves thru a new lense and we look good. I am looking to join this organization and expand the message to these young girls in South Florida. I am tired of seeing our girls demeanor their self worth and settle for less, when they are so much more. The realization of who they are comes so much later because no one takes the time to tell them early that they are beautiful queens. Women of a “higher order” and a force to be reckoned with. The message is so needed even in the West Indian communities where the suffereing is even worse because of the lack. Some make it out, but many conform to their surroundings. I want to reach and teach. I am a black girl and “I ROCK”. We ROCK!!!! Let me know how I can raise the stakes and really make a difference. My daughter and I truly applaud all of the people who make this organization a success! Thank you Beverly Bond for leading the way! Atlanta, GA would love to have a charter group. Does one exist already? If not, sign me up! I am sure there are others in the Metro Atlanta area who would love to partake in helping set this up. Hi Juanita, I would love to partake in setting up a chapter group here in Atlanta. I have a 14 year old daughter who will benefit a lot from this organization. I would also like to provide any wisdom that I can to black girls who feel like they don’t have a voice. Having strong black women who can not only guide them, but listen to them as well, will be very beneficial for our young black girls. Now and days, many young girls don’t understand their worth and I think this organization will give them confidence, provide leadership and make them understand their place in this world. BLACK GIRLS ROCK!!!!!!!!!!!!! I was born a Black Girl, learned to love my Black is Beautiful, and teaching daughter and every Black I come in contact with that all shades of Black rock! Please Expand to Indiana.! I will do whatever I can to be apart my community needs this.! Please!!!! BLACK GIRLS ROCK!!! I’m a retired Philadelphia Police Officer and Smsgt retired USAFR. Currently I study at LaSalle University in Philadelphia attaining my bachelors in education. How can I become a part of Black Girl’s Rock in Philadelphia, PA. There are so many beautiful young girls here that need direction or just a listening ear to help them on a directed path. How can I help because Philly Girls Rock too!! I am a black girl who rocks and I give back to my community. I work for a nonprofit organization in San Antonio TX and would love to start a black girls rock here! Empowerment, Education and Self Esteem is something I see some of my black girls lacking, I would love to be a part of instilling this into them. THANKS for this beautiful movement! I would like to expand Black Girls Rock to Detroit. I believe that it is important to show our African American young ladies how important it is to believe in themselves. We as community that is failing, (city in bankruptcy), need to show opportunities to rise from despair. Our ancestors have shown that we can rise above the ashes and do great things. I have a heart for young people. I am a single mom of four children, three of them are girls, and it would be great for them to be with like-minded positive girls to uplift each other. I happened to watch Black Girls Rock by accident while flipping channels. This is one of the most inspiring programmes I have seen for many years. Fantastic music. Incredible talented women in all areas of life. What a celebration. I feel so proud of everyone. Thank you for moving me to tears, making me dance, making me laugh and mostly for giving me hope in the human race. I read the pledge which is so incredible I printed it out to read. If this is whats happening in the USA for black women I hope we one day follow on in the UK which often lags behind. I’m a white girl and you all rock. In 1998 after being diagnosed with ovarian cancer and my husband couldn’t deal with it, I thought my life was over. But I picked up the pieces and moved forward, not knowing that I would be diagnosed with breast cancer in 2005 and spinal cancer in 2009. But after coming home from a double mastectomy in 2005, I decided to not feel sorry for myself and started Heaven’s Door Cancer Foundation and began to send women to luxury spas and resorts across the country. If this made me feel better, I thought it would help other girls too and called it Diva Aftercare. What I didn’t know was that Ebony had heard of me and asked me to tell my story. So last year I did and was featured in the September Sparkle issue. My sisters began to contact me asking for help all across the country. From reading Ebony, Jet and Essence, they contacted me from airports, beauty salons, convenience stores. I knew it was my calling to serve my Divas and next year I am taking a group of these ladies to Hawaii with me on vacation. God has always provided the means and I know He will continue to do so. I’m in remission now and who knows how long I have; with my history all I know is to enjoy every day to help my sisters; I even send massage therapists to women in hospice; they deserve pampering at end of life. Because as Mother Teresa said,”Not all of us can do great things, but we can do small things with great love.” I hope next year to come celebrate with you all – because with God’s strength and our determination – We Black Girls Rock! Daphne at Heaven’s Door Cancer Foundation. I am a Black Girl who Rocks in Houston, TX and I would love to bring this organization to our area, As a recruiter for a large company I see a real big need for education and direction for our young black girls looking for employment, I want to help educate our beautiful young black girls in what it take to land the job of their dreams. I want to be a part of helping black girls to Rock in Houston, This is one of the best Movements there is and very much so needed. Hi my name is Lakhayla Gayle and i’m 12 year old i would like to expand Black Girls Rock to Canada. I believe that it is important to show Black African American Girls how powerful and how important they are.I’m a Black Girl Who Rock because i’m a singer, i figured out i loved singing when i first moved to Canada in 2010 when i was 9 year old that’s when i decided i wanted to be a singer my biggest role models would Beyonce, Rihanna, Brandy, And the amazing Whitney Huston.. My dream is to be like them, i want to travel the world meet new people and make new friends, i want to make a change,i want Black Girls to believe in themselves, to believe how powerful they are.. My most favourite song would be Beyonce Listen because i think it describes me a lot, every morning and every night when i wake up and when i go to sleep i pray for god to make my dreams come true, also one of my biggest dream is to wake up one morning and here that rihanna wants me to sing with her on tour.. I AM A BLACK GIRL WHO ROCK BECAUSE I BELIEVE IN MYSELF, I NEVER LET ANYONE BRING ME DOWN, AND I’M FOLLOWING MY DREAMS.. My Advice for all the Black Girls out there is to believe in yourselves, hold your heads high, and follow your dreams, because you’re Important and you’re Powerful in anyway and every way.. I AM A BLACK GIRL, YOU ARE A BLACK, WE ARE A BLACK GIRL AND WE ROCK!!!!!!!!!!!!!! Hi, are there any programs for girls that are 17, because I have a daughter who will be 17 in May 2014. I would like her to be involved in your program. I want her to know that she rocks. She likes to sing and dance and right now she is involved in gymnastics in her school. I know that she rocks but I want her to believe deep in her heart that she is a beautiful girl and she can do what ever she sets her mind to. I’ve always wanted to be more active in the lives of young African American girls because I’ve experienced so much as one. I’ve worked for Girl Scouts, but felt very limited and stunted as to the direction of my girls because many activities weren’t geared to their interests. Not sure of all that I can do, but I’d really like to begin a group especially for our black girls, who indeed ROCK. I’m a mother of three, two which are girls and I know they can be motivated by this movement! I am 56-year old women who for the first time watched “Black Girls Rock” two nights ago. To see all those young faces who get it “your Black and you Rock” was so beautiful the tears just flowed. To see us in the audience come together in all shades and sizes as an example of self esteem, pride, awareness of your culture and being proud of being black to our children was overwhelming, I felt so proud and honored to be a black women. I will educate myself with your organization and spread the information to as many as possible. You are a God Send. I have a 13-year old granddaughter we will view your website together. Thank you. Hey, My name LaTonna I’m 17 ,Im from East Saint Louis Illinois ,Im the 3rd out of 9 children ,I’m looking for programs that me&my sisters can join and many more black women in my community . I love this organization. I wish there was a chapter for young black girls in Houston, Texas. My grandaughter, Kennedi is 6 years old and we try to tell her everyday how beautiful and special she is. Blace Girls Rock is such a wonderful organization I wish they had something like this when I was growing up in Detroit. I hope you continue to have wonderful success and I hope one day my grandaughter can belong to a chapter here in Houston. Thanks for all you do. Hello my name is Daphne Hall -Booker. I recently started an community outreach program here in Memphis, Tn for young ladies. I would like to know if there is a possibility that I could collaborate with someone to start a Black Girls Rocks Inc. Program here. I am a beautiful black girl and I am kind, beautiful, smart, and important. Hello Im 13 years old and them words right there is powerful, Im one of a kind. * I Am A Black Girl Who Rocks* !!!!!!!!!!!!!!!!!!!!!!!! Im a black girl and proud of it. Proud to be a smart, confident black women. Leave a Reply to KaPricia W. Miller Click here to cancel reply. © 2019 BlackGirlsRock, Inc.. All Rights Reserved.